Stock Low : 282 items left. 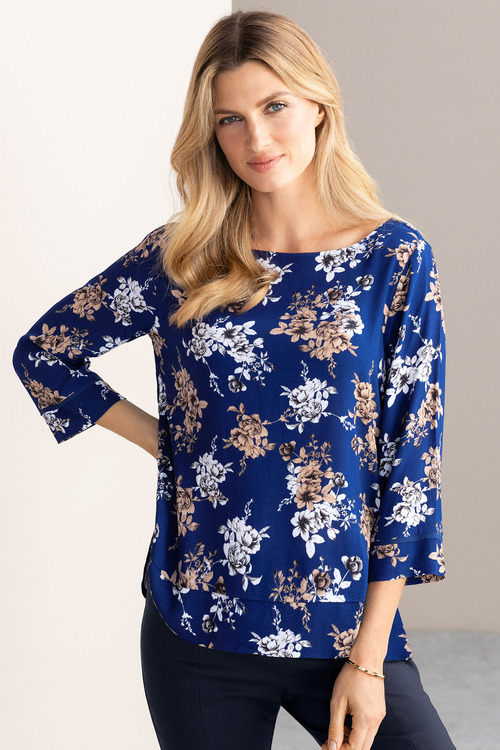 Step out in style with the Grace Hill Panel Detail 3/4 Sleeve Top, a simple but stunning new design with a versatile cut, offered in two stylish prints that are sure to turn heads. Crafted from viscose, this piece is durable, comfy and easy to care for - perfect for regular wear throughout the seasons. Wear it with dark-wash slim jeans and sneakers for the weekends, or dress it up with black culottes and strappy heels.